“Law and order exist for the purpose of establishing justice and when they fail in this purpose they become the dangerously structured dams that block the flow of social progress.” The Rev. Dr. Martin Luther King, Jr.
It’s enlightening to see mandatory sentencing guidelines changing in the judicial systems of the United States. And it’s confounding to see voter ID laws being instituted in various states around the country, even though there is solid evidence that voter fraud in the United States is at an all-time low. So many of our laws are based on the political whims of people seeking power. In the United States, marijuana prohibition began partly as an add-on to laws restricting opiates and cocaine to prescription-only use, and partly in Southern and Western states and cities where blacks and Mexican immigrants were smoking it because it was easy to grow and inexpensive to purchase. Massachusetts began restricting cannabis in its 1911 pharmacy law, and three other New England states followed in the next seven years as more black people from the South migrated north. 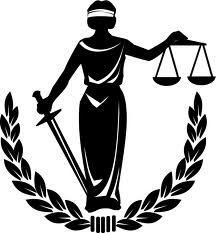 What makes a law “just” is in the eyes of the beholder unless it is evenly applied to all citizens. Unfortunately, the application of law is often arbitrary. Ask any African American about being stopped by the police and they can share more stories than white folks can imagine. Many are stopped in “white neighborhoods” for no apparent reason, questioned, and often searched. If they ask why they are being stopped or question the level of force, they are likely to end up in the police station. A good friend of mine who is black did this a couple of years ago. He ended up with a broken arm and broken jaw before he was taken into police custody. The arresting officers claimed he was confrontational in his physical stance and did not answer questions properly. In court, the prosecutor described my friend’s wiry build and irritable behavior as probable cause for a crystal meth user. In actuality, his stature is due to his training regimene as a semi-professional boxer. “Probable cause” is a huge loophole for police and prosecutors. There are communities and states that have come to realize the negative social impact of high prosecution rates and the negative effects of prosecuting with vengeance. Rather than seeking justice, restitution or a reasonable penalty, many laws seek to punish and demoralize ... I am advocating, with a group of concerned citizens, for our state legislature to enact a law to promote restorative justice practices.